THE DESCENDANTS OF SIR WILLIAM ARBUTHNOT, 1st Baronet of Edinburgh. 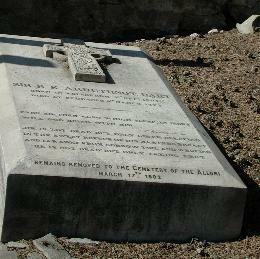 Sir William Arbuthnot, 1st Bt of Edinburgh [wikilink].Born 24 December 1766. Died Edinburgh 18 September 1829. For his ancestry see A.3.f. on Table J. Created a Baronet by the King in person, 24 August 1822, at the banquet given to His Majesty by the Magistrates and Town Council of Edinburgh, where Mr Arbuthnot presided as Lord Provost of the City. Apparently it was customary for the Lord Provost to be knighted, but the King enjoyed his dinner so much that he made William a Baronet instead. He also said that William, who had drunk very little in contrast to the King, might have supporters to his arms if he could walk round the table without support; this he did with ease, and thereby obtained the supporters that Baronets do not generally enjoy. When William received his Letters Patent, they described him as having been knighted, and he had to return them for amendment - the reason that the patent bears date 3 April 1823. He matriculated his arms in 1816: Arms: azure, a crescent between three mullets, two and one argent, the whole within a bordure, or, charged with three boars' heads, couped, gules. Crest: A peacock's head proper. The supporters: Dexter, a wyvern vert, sinister, a greyhound argent, collar and line reflexed over the back, gules. Motto: Innocent and True. Married, 13 September 1800, Anne Alves (died 19 July 1846), daughter of John Alves, MD of Shipland, Inverness and Helen Baillie of Duncan. Sir Robert Keith Arbuthnot, 2nd Bt of Edinburgh. Born Edinburgh 9 September 1801. Died Florence, Italy 4 March 1873. His remains were buried in the Florentine Protestant Cemetery but were removed to the Cemetery of the Allori (wherein lies Elizabeth Barrett Browning) 17 March 1882 - appeal for help. Served in Bombay Civil Service; collector and magistrate in Amedabad, Bombay until 1847. Married in Bombay, 20 March 1828, Anne Fitzgerald (born c.1808; died 6 March 1882), ygr daughter of Field Marshall Sir John Forster Fitzgerald, GCB, CBE by Charlotte, née Hazen. Sir William Wedderburn Arbuthnot, 3rd Bt of Edinburgh. Born Poonah, India 22 August 1831. Died 5 June 1889. Major, 18th Hussars. Married, 11 June 1863, Alice Margaret Thompson (born Alderminster, Warwick 1841/2; died 5 May 1889), daughter of Rev Matthew Carrier Thompson. Sir Robert Keith Arbuthnot, 4th Bt of Edinburgh, KCB, MVO [wikilink]. Born Alderminster, Worcester 23 March 1864. Rear Admiral. Killed at the Battle of Jutland 31 May 1916 in command of HMS Defence. There is a plaque in his memory in Glasgow. Boxing champion. An enthusiastic member of the Motor Cycling Club; an annual rally in the Isle of Man and a TT trophy for service members are named after him. ADC to HM George V 1911-12. There is a hamlet and post office named after him in Saskatchewan. Married, 11 December 1897, Lina MacLeay (born 11 August 1868; died 29 May 1935), daughter of Colonel Alexander Caldcleugh MacLeay, CB. Rosalind Desirée Arbuthnot. Born 28 February 1906. Died 6 September 1985. She had Parkinson's disease. Married, 29 May 1926, Anthony John Anson (born 1 January 1904; died 13 March 1981), elder son of Hon Claud Anson and nephew of the 3rd Earl of Lichfield. Address: Highdown, Horam Road, Hellingly, Sussex. i. John Anthony Robert Anson. Born 26 March 1927. Married first 27 October 1962 (Fiona) Brook Wills (died 1987). Tel (late) 020 8788 2060. Martin Anthony Wills Anson. Born 7 October 1963. Annabel Frances Rosalind Anson. Born 1967. Died 1988. John married second (Angela) Jane Millican. ii. Colin Shane Anson. Born 29 July 1931. Address: 18 Ripple Vale Grove, London N1 1HU. Tel: 020 7607 2995.
iii. Sarah Rose Anson. Born 12 July 1944. Married 5 July 1969 Robin Gifford Kerr (born 30 March 1944). Tel: 01225 311549. Bryony Charlotte Kerr. Born 28 January 1972. Engaged to be married 22 January 2005 to (Crispin) Adam Harry Blazeby, son of Crispin and Margaret Blazeby. Julia Emily Kerr. Born 28 March 1974. Aline Henriette Arbuthnot. Born Ootacamund 16 March 1866. Died unmarried 13 February 1913. Sir Dalrymple ("Dal") Arbuthnot, 5th Bt of Edinburgh, CMG, DSO, JP [wikilink]. Born India 1 April 1867. Died Ludlow 31 March 1941. Colonel, RFA; Hon Brigadier General, 1920. Served Chitral 1895 (medal with clasp), S African War 1899-1902 (despatches, two medals, five clasps), WW I (despatches eight times, Brevet), commanded 12th Corps 1916, Order St Michael & St Lazarus of Italy.. Married, 15 January 1918, (Alice) Maud ("Maudie") Arbuthnot (born 14 July 1880, died 16 October 1969) - see B.KK.a. below. Sir Robert Dalrymple Arbuthnot, 6th Bt of Edinburgh. Born 4 July 1919. Killed in action in Normandy 30 June 1944. Educ Kingsmead, Seaford, Sussex, Eton and Magdalene College, Cambridge. Major 24th Lancers. There is a beautiful window to his memory in Nash church, Nash, South Shropshire. The family lived at Nash Court and later at Witton Paddocks. Sir Hugh Fitzgerald Arbuthnot, 7th Bt of Edinburgh. Born Chelsea 2 January 1922. Died 3 July 1983. Educated Kingsmead, Seaford, Sussex and Eton. Captain, Welch Guards. MFH Ludlow Hounds 1948-52; Cotswold Hounds 1952-64; Duke of Buccleuch's Hounds 1964-80. Married first, 17 August 1949, Elizabeth Kathleen Williams (died 20 May 1972), elder daughter of Sqdn-Ldr George Gilbert Algernon Williams. The lived at East Border Farm, Brundeanlaws, Jedburgh, Roxburghshire TD8 6WW. Christian Aline Arbuthnot. Born 6 July 1950. Married, 1973, (Geoffrey) John Morley (born 11 April 1948). Address: Mount Ulston, Jedburgh, Roxburghshire. (a) Myrtle _____. Born 2007. Emily Alice Morley. Born 1977. Engaged 9 October 2007 to Morgan Coates, ygr son of David Coates of Budle Hall, Northumberland and Mrs Robert McDowell of Edinburgh. William Everard Hugh Morley. Born 1980.
ii. Sir Keith Robert Charles Arbuthnot, 8th Bt of Edinburgh. Born Ludlow 23 September 1951. Educated Wellington and Edinburgh University (BSc). Married first, 22 May 1982, Anne Rosemary Moore (born 7 June 1957), a nurse, younger daughter of Brigadier Peter Moore of The Old Farmhouse, Hazeley Bottom, Hampshire. Divorced 1997. Divorced. She married second 2007 Stephen Scott. Robert Hugh Peter Arbuthnot. Born Edinburgh 2 March 1986. Patrick William Martin Arbuthnot. Born Edinburgh 13 July 1987. (3) Alice Elizabeth Mary Arbuthnot. Born Edinburgh 22 March 1990. Sir Keith married second, 14 February 2003, Alison Jane Warner (born 24 November 1960). Address: Ivy House, High Street, Edmond, Newport, Shropshire TF10 8JX. Tel/fax: 019 5281 4515 Mob 07775 816171. David William Patrick Arbuthnot. Born 7 March 1953. Educated Wellington. A racehorse trainer. Married 12 March 1988 Diane ("Di") Yeomans (director of operations ROR [Retraining of Racehorses]), only dau of John Yeomans of Hill House, Baughurst, Hants. Address: Hamilton Stables, Compton, nr Newbury, Berks RG16 6QJ; formerly of: Eastbury Cottage Stables, Eastbury, Berkshire. (1) Phoebe Elizabeth Arbuthnot. Born 18 November 1988. Educ St Mary's, Wantage. (2) Rosanna ("Rosie") Mary Arbuthnot. Born 28 November 1989. Educ St Mary's, Wantage. University of Manchester. Sir Hugh married, second, September (?) 1977, Mrs Julia Grace (born 12 June 1941), only daughter of Lt-Colonel Frederick ("Pasha") Gerard Peake, CMG, CBE, OBE and formerly wife of David Grant. Her address: Ferme St Jean, Les Bas Adrechs, Callian 83440, Var, France. Reginald Ramsay Arbuthnot. Born Venice 25 April 1869. Dsp Mafeking of wounds received in action in South Africa 3 September 1900. Captain, Royal Irish Regiment. Wounded at Ottoshoop 20 August 1900. (William) Fitzgerald ("Gerald") Arbuthnot, OStJ. Born Ootacamund 29 October (baptized St Stephen's Church 9 December) 1875. Died unmarried 12 December 1955. Educ Eton. Major, 3rd Battn, Seaforth Highlanders. Forster Fitzgerald Arbuthnot. Born 21 May 1833. Dsp 25 May 1901. A distinguished orientalist, well versed in the ancient literatures of Persia and India. It is due to his laborious work that several of the Masterpieces of Arabic, Persian and Indian writers are now accessible to English readers. Mrs Arbuthnot lists his better known translations, excepting his having collaborated with Sir Richard Burton in his translation of the "Kama Sutra of Vatsayana" (1833). Married, 17 July 1879, Elinor Stirling (See A.3.e.aa. (A) on Table J), as her second husband. Rev Robert Keith Arbuthnot, MA. Born Nassek, Bombay, East Indies 19 August 1838. Died 5 December 1894. Vicar of St James's, Ratcliffe, London E. Married, 17 June 1868, Mary Agnes Vaughan (born Hathern, Lincoln 1840/41; died 14 March 1908), daughter of the Rev Canon Edward T. Vaughan, MA, Canon of St Albans, late Rector of Harpenden. Geraldine Mary Arbuthnot. Born Kimpton, Hertford 1 May 1869. Died 11 July 1956. Married, 3 September 1896, Henry Edward Hamill Stewart (died 26 January 1920), son of John Thomas Hamill Stewart of Fulwood Park, Cheltenham and Marion, nee Hudson. He lost a leg in an accident with a tram. They settled in Eastbourne. I. Donald Henry Hamill-Stewart. Died 10 October 1976. Lt, Ox & Bucks Light Infantry. Became a Four Square Gospeller after the Great War and gave the remainder of the family estate to the sect. II. John ("Jack") Arbuthnot Hamill-Stewart. Taught history at Eton College and Millfield. III. Charles Edward Hamill-Stewart, DSO. Born 13 January 1902. Died 1969. Lt-Col, Royal Artillery. Present at Dunkirk, Prisoner of War 1940-46. Married 4 October 1930 Joan Francis (died 1968), daughter of Arthur Scott Dunkin Francis, partner, Francis & Praed, stock jobbers. i. Michael Patrick Hamill-Stewart. Born 9 July 1931. Lt Cmdr, RN. Then with IBM, Europe. Married Thakeham, Sussex 4 December 1954 Anita Nicole Bourg, daughter of Francis Bourg of Luxembourg. Mark Francis Hamill-Stewart. Born 22 March 1959, a twin. Married first in Melbourne 13 January 1990 Suzanne Parsons (born 15 May 1963), daughter of Denis Parsons of Bald Mountain Vineyard, Wallangarra, Queensland. Divorced. Mark married second 26 July 2000 Annabel Ley, daughter of Charles Henry Ley of West Lavington. Annabel has a son, Lewis Ley (born 6 August 1989) by a previous relationship. (a) George Henry Hamill-Stewart. Born 11 February 2000. (2) Charles Edward Hamill-Stewart. Born 22 March 1959, a twin. Married first 1992 Estelle Phillips, solicitor, daughter of Derek Phillips, solicitor, of Chicklade House, Hindon, Wilts. Divorced. (a) Angus John Hamill-Stewart. Born 1993. (b) Christopher James Hamill-Stewart. Born 1994. (c) Samuel Hamill-Stewart. Born 1996. (d) Jessie Louise Hamill-Stewart. Born 1998. Charles married second London 15 November 2002 Annabelle Adam, daughter of David Adam of Edenbridge. (3) Caroline Hamill-Stewart. Born 30 August 1955. (4) Elizabeth Mary Hamill-Stewart. Born 14 April 1958. Married 2 December 1995 James Hewett Ramage, solicitor. (5) Mary-Louise Anne Hamill-Stewart. Born 22 March 1959. Married, 31 August 1996, Nicholas Hoare. ii. Rev Simon Francis Hamill-Stewart. Born 31 December 1932. Vicar of St John's, Winford, Cheshire. Married 1963 Christine Elizabeth Louth, daughter of Frederick Arthur Louth of Birmingham. (1) Nicola Christine Hamill-Stewart. Born 1965. Married 19?? Jonathan Anderson. (2) Peter Alexander Hamill-Stewart. Born 1968. Married 2003 Anne Partington, daughter of Allan Partington of Winsford. (3) Andrew Jonathan Hamill-Stewart. Born 1969.
iii. Jean Gabrielle Hamill-Stewart. Born 25 August 1938. Married 1961 John Tattersall Brewer. IV. Marion Geraldine Hamill-Stewart. Married Herbert Hotblack, director of Tamplins Brewery. V. Kathleen Hamill-Stewart. Married Eric Politzer, solicitor. [Probably] Ellen Arbuthnot. Born Hitchin, Herts q1 1870. Robert Edward Vaughan Arbuthnot, CSI. Born Florence 15 January 1871. Died 22 October 1922. ICS, Commissioner of Settlements and Land Records Burma 1915-19; Fin Commr Burma 1919; additional member Governor General's Legislative Council. Married, 19 April 1899, Ethel ("Tessa") Mary Wyndham (born 5 April 1864; died 30 September 1965 aged one hundred and one), daughter of Major Charles Wyndham, formerly of the 9th Bengal Light Cavalry and of Charlotte Maria nee Anketell-Jones. Tessa knew the Brownings when she was a child. Elnyth Mary Arbuthnot. Born Florence 1 February 1900. Died 27 January 1977. Married, 9 June 1924, Captain, later vice Admiral, Count Ferrante Capponi (born Florence 11 August 1898; died Florence 29 April 1965), Italian Naval Attaché in London at the outbreak of World War II, Asst Chief of Staff to General Eisenhower at SHAPE 1952-53, and later Director of Lloyd Triestino, son of Piero, Count Capponi. The Count was a naval officer who fought with the Allies during World War II. Countess Capponi had Germans billetted in her country house, south of Florence, while her husband and son were hiding on the estate. For many months she concealed their whereabouts, while providing them with food after dark. After she was widowed in 1965, she went to live in the family house in Florence with her mother. Count Neri Piero Roberto Capponi. Knight Grand Cross of the Sacred Military Order of St. Stephen of Tuscany and a Knight of Obedience of the Sovereign Military Order of Malta. Born 5 September 1925. Assistant Professor of canon law at the University of Florence, ret'd. Advocate of the Roman Rota and Judge of the Tuscan Ecclesiastical Matrimonial Court. Married, 9 June 1958, Flavia Lodi-Fé (born 15 September 1927), yr dau of H.E. Romano Lodi-Fé. Address: 36 Via dei Bardi, 50125 Florence, Italy. Tessa Elena Umiliana Capponi. Born Florence 3 March 1959. Married, 26 June 1985, Jakub Borawski, only son of Ludwik Borawski of Warsaw. Address: Narbutta 52-M-15, 02541 Warsaw, Poland. (a) Cosima Maria Barowska. Born 11 April 1986. (b) Zygmunt Maria Barowski. Born 26 August 1987. (c) Flavia Maria Barowska. Born 3 May 1989. (d) Stanislaw Andrzej Barowski. Born 1999. (a) Francesca Ethel Mary Capponi. Born Florence 14 October 2000. (b) Ludovica Capponi. Born Florence 2002. Count Piero Zanobi Giorgio Capponi. Born Florence 13 July 1965. Count Sebastiano Maria Maurizio Capponi, cav. Di giust. del S.M.O. (Knight of Justice of the Sacred Military Order of St. Stephen of Tuscany). Born Florence 29 March 1971. Married, 24 June 1995, Ginevra Gulinelli, only dau of Conte Giulinelli of Ferrara. (a) Buonamico Maria Capponi. Born 7 May 1995. (b) Ferrante Maria Capponi. Born 6 March 1997. (c) Neri Maria Guelfo Capponi. Born 7 February 2001. Contessa Diamante Tessa Luisa Capponi. Born Livorno 7 August 1927. Married first, 20 June 1949, Don Agostino Cornaggia- Medici, Marchese della Castellanza (born Milan 24 October 1921), s.ten. di Compl., partigiano 1944-45. Divorced April 1971. Beatrica Cornaggia Medici della Castellanza. Born 26 February 1950. Married, 9 September 1972, Marchese Rolando Rovereto di Rivanazzano (born 14 February 1945). Address: La Bidella, Rivanazzano, Pavia. (a) Flavia Diamante Rovereto de Rivanazzano. Born 26 February 1975. (b) Marco Agostino Lorenzo Francesco Rovereto di Rivanazzano. Born Milan 17 October 1977. Donna Ilaria Cornaggia Medici della Castellanza. Born 12 July 1954. Married, 4 October 1973, Arch. Angiolo Logi (born 29 October 1939). Address: 49 Windsor Street, Paddington, Sydney 2021, NSW. (a) Lorenzo Logi Cornaggia Medici. Born Sydney 8 January 1986. Born Logi and changed his surname to preserve the Medici name in the family. Diamante Tessa Luisa Capponi married second, 18 January 1986, Richard Laurence Westinghouse (born 9 March 1919, died 25 June 1996). Henry Fitzgerald Arbuthnot. Born Pointon, Lincoln 16 July 1873. Died Madras 26 May 1917. Served in the Indian Forest Service as Deputy Conservator, Madras. Married in Madras, 31 December 1900, Ivy ` (born 7 February 1877, died 10 March 1959), daughter of John William Minchin of Clovelly, Ootacamund, Madras, coffee planter and Julie Katherine Hill. Julia Agnes Mary Arbuthnot. Born Madras 16 December 1901. Died Ootacamund 18 May 1909. Hugh Fitzgerald Arbuthnot. Born Ootacamund 13 October (baptized St Stephen's Church 30 November) 1903. Died 1990. Educated St Edward's School, Oxford. Married, 6 September 1928, Kathleen Phyllis ("Peggy") Sheppard (born 11 October 1903, died August 1982), daughter of Reginald Walter Sheppard of Looe. Address: Greywethers, Uffington, Faringdon, Berkshire. Robert William Humpherson. Born 3 March 1958. Susan Linley Humpherson. Born 21 May 1960. Michael Hugh Humpherson. Born 27 July 1962. Edward Allen Humpherson. Born ?.?.1970. Ed has been an AAG since 2007, having joined the NAO in 1993. He was appointed to the new NAO Board in July 2009. He is responsible for the NAO’s work on business and economic affairs, including the audits of HM Treasury, HM Revenue and Customs, the Department of Energy and Climate Change, the Department of Business, Innovation and Skills, and the Department for Transport. He is also responsible for coordinating the NAO's work on the use of Private Finance to deliver public services, the effectiveness of regulators and regulator reform, and the public sector's work with the Third Sector. He is currently coordinating the NAO's audit work on the Government's response to the financial crisis, including the nationalisation and recapitalisation of several key financial institutions. Robert ("Robin") Ian Fitzgerald Arbuthnot. Born 8 October 1933. Died of gunshot wounds while serving in Korea 25 December 1953. Educ Haileybury. 2nd Lt., Royal Warwick Regt. Simon Charles Fitzgerald Arbuthnot. Born 10 February 1969. Contestant University Challenge (representing Cranfield Univ), 2002/3; they were runners-up. Works for Ricardos. Married at All Saints, Blackheath,.24 July 1999, (Sarah Mary) Louise Stuart (born 21 January 1977, solicitor with Travers Smith), dau of Rev and Mrs Francis David Stuart. Divorced c.2003. She has remarried. She continues to use the name Arbuthnot. Living in Shooters Hill, Blackheath. Tel: 07793-455253. He married second 24 August 2011 Olga Anatolevna Zhukova daughter of Anatoly Zhukov and her mother Ludmilla, nee Gorbachova. (a) Darya ("Dasha") Simonovna FitzGerald Arbuthnot. Born Novosibirsk, Russia 12 June 2010..
Keith Minchin Arbuthnot. Born Ootacamund 25 February (baptized St Stephen's Church 30 March) 1905. Died Madras 1905. Madeline Ivy Arbuthnot. Born Ootacamund 26 April (baptized St Stephen's Church 22 May) 1908. Died 25 July 1998. Married, 2 June 1928, Geoffrey Wilmot Teed (died 1989), son of Harry Williamson Teed of Cranbourne, Bromley Comm, Kent. Address: Station Cottage, Fairford, Gloucestershire. Ruth Sinclair Teed. Born 1 October 1930. Educated St Thomas's Hosp (MCSP 1952). Married, 6 March 1954, Derek Hale, BSc Econ, FCIPS, son of Harry Hale of Blackpool. Address: 54 Weir Road, Kibworth Beauchamp, Leics LE8 0LP, formerly of: Glade House, 28a London Road, Great Glen, Leicestershire. Christine Morley Hale. Born 13 May 1956. Married 1984 Michael Andrew Hollis, BA, FCA, ATIL. Address: 36 Fleckney Road, Kibworth Beauchamp, Leics. Sarah Morley Hollis. Born 1986. Nicholas Elkin Hollis. Born 1987. Matthew Jonathan Hollis. Born 1990. Deborah Sinclair Hale. Born 2 March 1959. Has issue by John Martin Stew: Address: 76 Main Street, Great Bowden, Leics. Edward Christopher Stew. Born 1992. Richard Geoffrey Stew. Born 1995. Jonathan Wilmot Hale. Born 17 July 1964. Married 1993 Gaynor Astin, son of E R Astin LLB of Budleigh Salterton. Address: Brandywell, Queens Square, Chalford Hill, Glos. Victoria Madeline Hale. Born 1997. Georgina Charlotte Hale. Born 18 February 1999. CHRISTOPHER LITHERLAND TEED. Born 21 February 1933. Educated Tonbridge. Married, 7 January 1978, MARY ROSE, née HEARN, daughter of Alan Edward Hearn of Harold Wood, Essex and widow of Arthur Tilbrook. Address: 18 Delves Wood Road, Beaumont Park, Huddersfild, Yorks. HUGH ARBUTHNOT TEED. Born 17 April 1936. Educ St George's, Harpenden. Married, 30 April 1966, MARJORIE GILLIAN LAW- GREEN, BA, daughter of Charles Theodore Law- Green, Notary- Public of Bradford. Address: 65 Fisherton Street, Salisbury, Wiltshire SP22 7SU. Jane Arbuthnot Teed. Born 25 April 1970. Married, 17 July 1999, Lt Jason Mervyn Saunders, RN (born 11 May 1969), son of Brian Harold Saunders of Corsham, Wilts. Address: 21 Highgate Rd Copnor PO3 5AS. Mia Marlene Teed Saunders. Born 21 May 2001. Jack Brian Arbuthnot Saunders. Born 6 October 2004. Caroline Green Teed. Born 9 June 1972. Married first 28 June 1997 Jeremy David Strutt, eldest son of Roger Anthony Strutt of Ferring, West Sussex. Divorced. Married second 12th February 2005 to Gareth Hugh Rees (CPO RN), eldest son of William David Rees of Pill, Bristol. Address: 24 Stamshaw Rd, Portsmouth PO2 8LR. AUREA WILMOT TEED. Born 8 February 1943. Educ St Paul's School. Married, 28 December 1968, CHRISTOPHER JAMES COLLIER HART only son of James Joseph Collier Hart of Frampton Cotterell, Bristol. Address: 38 High Street, Marshfield, Chippenham, Wiltshire SN 115 8LP. ALEXANDRA PRINZ HART. Born 21 October 1972. BARNABY TEED HART. Born 27 June 1975. KATHERINE ROSE ARBUTHNOT. Born 18 September 1913. Died 8 February 1980. Married as his third wife, 30 December 1943, ROBERT THEODORE GLADSTONE (born 4 March 1885; dvu 25 April 1962), headmaster of the Abbey School, East Grinstead, son of Samuel Henry Gladstone of Darley Ash, Bovingdon, Herts..
HUGH KEITH ARBUTHNOT. Born Pointon, Lincoln 20 July 1874. Died unmarried 16 February 1903. Lt, RN. f. CONSTANCE MARGARET ARBUTHNOT. Born Holbeach, Lincolnshire 3 March 1879. Died 18 October 1949. Married, 23 April 1913, Lt-Colonel Robert Denbigh Keyworth, late 52nd Oxford & Bucks Light Infantry (died 15 May 1956), son of Major Charles Keyworth, 52nd Light Infantry. They had issue. HENRIETTA ANNE ARBUTHNOT. Born India 1840. Died Florence unmarried 26 June 1897. JOHN ALVES HENRY ARBUTHNOT. Born Bombay 25 July 1842. Died unmarried 16 February 1903. Founding partner of Arbuthnot Latham & Co.
FITZGERALD HAY ARBUTHNOT. Born Geneva, Switzerland 25 August 1849. Died 1 November 1894. Married in Islington Q3 1883 either Theresa Martha Jungmann or Susan Turner (the "wrong one" married John McKay). CHARLOTTE D'ENDE ARBUTHNOT. Died 18 May 1904. Married, 21 April 1863, the Rev CHARLES HALL RAIKES, Vicar of Chittoe, Chippenham, Wiltshire (born 19 February 1839; died 14 December 1885). a. MADELINE CHARLOTTE RAIKES. Born c.1864. Married, 21 September 1880, EDMUND HENRY CLUTTERBUCK (born 20 January 1852; died 11 February 1924), Barrister-at-Law. I. Henrietta Madalaine Clutterbuck. Born 22 June 1881 in St Georges, Hanover Sq, London Married Hardenhuish 25 August 1909 Bertram Christian. III. Joan Louisa Clutterbuck. Born 29 April 1884 in Bowden Hill, Wilts Married Hardenhuish 2 February 1909 Arthur Moubray St Crispin Allfrey. IV. Violet Thermuthis Clutterbuck. Born 25 October 1885 Married St Peter's, Bournemouth 15 January 1907 Ernest Marling Roberts. VI. Mary Hope Lititia Clutterbuck. Born 28 December 1888 Married first Godfrey Rokeling. Married second Hardenhuish 5 October 1909 Ronald Henry Greig. VIII. Bridget Julia Clutterbuck. Born 6 September 1893 Married Kensington 15 October 1917 Montague Edgerton Wetherall. IX. Walter Edmund Clutterbuck. Born 17 November 1894 in Hardenhuish Married Edinburgh 16 October 1919 Gwendoline Atterbury Younger. X. Alice Claude Ellen Veronica Clutterbuck. Born 30 August 1899 Married Peking 4 April 1921 Sydney E Lucas. Brigadier General Arthur Edward Harrington Raikes. Born 5 February 1867. Died 3 March 1915. First minister, Tanzania. Married, 16 December 1899, Geraldine Arbuthnot (born c.1870, died 20 November 1920). They had issue incl a son (born c.1902). Charles Fitzgerald Raikes. Born 26 October 1861. Violet Justina Raikes. Married, 22 April 1913, Francis W Baughan. Helen Sophia Raikes. Died October 1928. Married, 24 September 1895, Lt-Colonel George Pelham Hatch, CMG, of Wiltshire Regiment (died 23 May 1923), son of General George Cliffe- Hatch. John Alves Arbuthnot of Coworth Park, Old Windsor. Born Queen Street, Edinburgh, 3 October 1802. Died 29 August 1875. Worked with Arbuthnot & Co. Founded the partnership of Arbuthnot Latham & Co with Alfred Latham, partner 1833-75. Married in Marylebone, 2 June 1832, Mary Arbuthnot (born Madras 29 April 1812; died 30 March 1859 - See A.3.h.aa. on Table J). William Arbuthnot, DL, JP, of the Ham Manor, Newbury, Berkshire, formerly of Cowarth Park. Born London 14 April 1833. Died 9 February 1896. Magistrate. Worked with Arbuthnot & Co. Married first, 5 January 1858, Adolphine Eliza MacLeod Lecot (spinster aged 18, died Madras 2 December 1858), daughter of Edward Lecot, French consul at Madras. Married second, ?.?. 18? ?, (Margaret) Rosa Campbell (born Argyllshire, Scotland 1842/3, died 11 May 1918), daughter of John Campbell of Kilberry, Argyllshire. Mary E G Arbuthnot. [from 1871 census] Born Earlmondie, Madean c.1867. Died before 1881? (Adolphine) Mary Arbuthnot. Born Madras 12 January 1868. Dvu 8 December 1904. Married, 22 December 1897, Charles Edward Brownrigg (born Maryborough, Queens, Ireland 3 February 1865; died 7 June 1942), Fellow of Magdalen, Oxon., son of Thomas Marcus Brownrigg and Meriel Anne, née Watt. After Mary's death, Charles remarried and had further children. John Arbuthnot Brownrigg. Born 1899. Died 1900. Meriel Rosemary Brownrigg. Born 1900. Died 1937. Alison May Brownrigg. Born 1903. Married 1935 Henry Thompson and had three sons. Ann Armitage. Born 15 August 1928. Evelyn married second, 1946 (dissolved 1950) Capt John Samuel Pontifex Cooper. Married third, 1950, Lt-Colonel John Warwick Tainton Woodridge. Married fourth (remarriage) John S.P. Cooper. Ivy Florence Arbuthnot. Born Sunningdale, Berks 30 January 1871. Died Uckfield q1 1959. Rose M J Arbuthnot. [from 1871 census] Born Sunningdale, Berks 30 January 1871, a twin. Died before 1881? BB. Elisa Jane Arbuthnot. Born Madras 3 October 1834. Bap 3 February 1835. Died India 1838. CC. George Arbuthnot, JP. Born Madras 9 January 1836. Bap St George's Cathedral 19 February 1836. Died 26 December 1912. Lived at Norton Court, Gloucestershire. Colonel, RA. Conservative MP for Hereford. Married, 12 October 1870, Caroline ("Carrie") Emma Nepean Aitchison (born Norwood, Middx 1848; died 16 March 1927), daughter of Captain Andrew Nepean Aitchison, HEICS. a. (Frances) Muriel Arbuthnot. Born London 22 November 1871. Died 7 September 1933. Married first, 6 July 1910, Stefan Karl J Brichta (died 19 October 1924) of the Lancashire Fusiliers, son of Philip Brichta. Married second, ?. ?.1929, Gilbert ("Gil") Amos Reeve of the Indian Police (died 1971). John ("Jack") Bernard Arbuthnot, MVO, KStJ. Born London 17 May 1875. Died 16 September 1950. Brigade Major, Household cavalry, Scots Guards; when doing guard duty at Balmoral he used to carry Elizabeth, who became the Queen Mother, on his shoulders around the drawing room when she came visiting from Glamis. Served in the Boer War. Served with MI5 for 6 months in 1918. ADC to the Governor General, Hong Kong. Gave evidence in the "Million pounds will suit" (Sir John Edward Arthur Murray Scott, Bt). Married, 8 June 1903, Olive Blake (died 12 September 1953), daughter of Sir Henry Arthur Blake, GCMG, the Governor General of Hong Kong. I. (Irene) Joan Grace Arbuthnot. Born 25 April 1904. Died Youghal, Co Cork 17 March 1997. Head-girl at Heathfield School. Author of "More profit than gold" (Jonathan Cape, 1935), a book about her exploration up the Orinoco River. II. David George Arbuthnot, MA, FZS, CStJ. Born 7 April 1905. Died 14 November 1985. Educated Eton & Corpus Christi College, Cambridge. Matriculated his arms. Married first, 17 May 1933, Elizabeth Dorothy Kemeys- Tynte, later 10th Baroness WHARTON (dvu 1974), daughter of 8th Baron Wharton. Divorced 1946. (1) Myles Christopher David Robertson, 12th Baron Wharton. Born 1 October 1964. Educated King's College, Wimbledon. Actor, "Prisoners of the Lost Universe" (1982). Director of a company dealing in internet development, CD production and commercial video. Married first, 1998, Caroline Laura Jeffrey, dau of John David Jeffrey of Ipsden, Oxon.. Divorced. Married second 11 May 2003 Barbara Marshall. The Hon Meghan Mary Ziki Robertson. Born 8 March 2006. The Hon (Patricia) Lesley Robertson. Born 26 May 1966. Educated Wimbledon High School and Kingston College. Married, 9 January 1999, Kenneth ("Kenny") John William Reid (born 14 July 1975) son of William John Hunter Reid of Edinburgh. Actor "Dear Mr Kennedy", play 2005. Living in New Malden. Lesley and Kenny are co-directors of a video company. They are working on post-production of "Sunstroke" which should be completed Summer 2006. Connor McKay Reid. Born London 11 May 1999. Tyla Morgan Alana Reid. Born London 15 July 2003. (3) The Hon Christopher James Robertson. Born 24 December 1969, a twin. Educ Claysmore. Property investment consultant. Married 8 October 2001Charlotte Bond. Jake Harry Robertson. Born 17 May 2004. Libby Grace Robertson. Expected 12 September 2006. The Hon Nicholas Charles Robertson. Born 24 December 1969, a twin. Educ Claysmore. Property investment consultant. Married in Brazil 22 March 2008 Bianca ("Bia") Simas Nascimento. Address: 1 Melina Court, Gipsy Lane, London SW15 5RG. (a) Noah MacLeod Robertson. Born 9 August 2012. The Hon Caroline Elizabeth Arbuthnot. Born 28 August 1935. Married, 10 October 1970, Captain Jonathan Cecil Appleyard-List, CBE, RN Ret'd, (born 31 July 1935, died 11 August 2008), son of Cecil Rhodes List of Wimbledon. Jonathan was "a high-ranking NATO official". Zoe Sofia Appleyard. Born 13 October 1973. Educated Tormead Sch., Guildford; Godolphin & Latymer Sch. for Girls, London and Univ of Bristol (First Class Honours [BSc], Politics, Philosophy & Economics, 92-95). Past employment: Merrill Lynch (95-8) & NM Rothschild & Sons (1998-2000). Current Board positions include: Chmn, Life Capital Ltd; Ptnr & Man Dir, Life Partnership Ltd; Dir, Online Classics plc; Non-Exec Dir, Dr Vet Network Ltd; Chmn & Tstee The Life Neurological Research Trust. Current Advisory Board positions include Worldcap Enterprises Inc & Digital Form LLC. Address: Life Capital Ltd, 21 Southampton Row, London WC1B 5HS, tel: 020 7405 5675, fax: 020 7405 5526. Married Salzburg Cathedral 8 May 2004 Sven Ley (born 1973) only son of Wolfgang Ley (Chairman of the Escada empire of fashion clothes) and his late wife Margaretha. Zoe now calls herself Mrs Appleyard-Ley. (a) Balthazar Leopold Jonathan Lupop Ley. Born Milan 13 February 2007. Clementine Margaretha Aurora Ley. Born 3 February 2009. David married second, 25 April 1946, Barbara Margherita Chiappini (dvu 1974), daughter of Francis Chiappini, JP of Wynberg, Cape Province, South Africa and widow of Percy Seymour Douglas- Hamilton. David lived at St Andrews, 8 Largo Road, Newlands, Cape Province 7700, RSA. Terence ("Terry") John Arbuthnot, CdeG, OLB, OStJ. Born 8 October 1906. Died Kensington 31 December 1995. Educated Eton. Group Captain, RAF (Ret'd), Mohmand Operations 1935 (despatches), in France World War II (despatches). Married in India, 20 April 1937, Karin Gunborg Sundgren (died 19 June 1983), daughter of Carl Adolph Sundgren of Hudiksvall, Sweden. Address: 6 Sheridan Court, Barkston Gardens, London SW5 0ET. Susan Christine Arbuthnot. Born 17 April 1939. Married, 23 December 1970, B. John Minchin (killed himself July 1987), 3rd son of Dr RLH Minchin of Nelson, New Zealand. Address: 354 Moyne Drive, West Vancouver, British Columbia, Canada. previously of RR3, Minto Road, Courtnay, British Columbia V9N 5M8, Canada (formerly of: PO Box 615, Cumberland, British Columbia). Karin Christine Minchin. Born 9 April 1972. Joanna ("Joey") Lesley Minchin. Born 15 January 1975. John Sten Robert ("Robin") Arbuthnot. Born 3 January 1941. Educated Sherborne, Dorset & Architectural Assoc. Address: Flat 6, 86 Redcliffe Gardens, London SW10. Married first, 8 October 1971, Elizabeth ("Liz") Marjorie Plumb (died November 2007), a journalist (Address: 40c St Lawrence Terrace, London W10), daughter of Sir (Charles) Henry Plumb, (later Baron Plumb) of Southfields, Coleshill, Warwickshire, ex-President NFU, President European Parliament. Divorced 4 June 1982. She married second, July 1982, Anthony Holman and had two sons. Robin married second, 14 February 1984, Swee Lien Ong (born 21 February 1961), daughter of Boon Bah Ong of Petaling Jaya, W Malaysia. Divorced 1999. Swee Lien then had a daughter, Katherine _____. James Robert Yu Ming Arbuthnot. Born 24 September 1984. Educated Eton College. Jennifer Mei Chen Arbuthnot. Born 21 November 1987. Educated Highfield. iii. Diana Karin Arbuthnot. Born 8 June 1942. Married, 4 February 1963, Geert Holger Sonderhoff (born 1 May 1933). Address: 316 Stevens Drive, West Vancouver, British Columbia, Canada. Terence ("Terry") Sven Sonderhoff. Born 17 September 1965. Stefan Andrew Sonderhoff. Born 10 September 1967. Bernard Kieran Charles Arbuthnot, DSC. Born 8 November 1909. Died 15 September 1975. Educated Eton. Cmdr, RN. Married, 15 April 1939, Rosemary Harold Thompson (died Cork 29 August 1978), daughter of Lt-Colonel Harold Thompson, DSO. Shirley Arbuthnot. Born 9 March 1949. Married, 2 May 1970, (Ormiston Gauvain) Nigel Murray (born 1944; died 9 January 2002 aged 57), only son of Dr Ronald Ormiston Murray of 28 Queens Gate Gdns, London SW7. Address: Myrtle Grove, Youghal, Co Cork 20 Gerald Road, London SW1W 9EQ (tel: 020 7353 2016 & 00353 249 2274). She married second Peter Rountree. Iona Louise Arbuthnot Murray. Born 15 June 1972. Simon Peregrine Gauvain Murray. Born 2 August 1974. Married 4 October 2007 Amelia May Beaumont (b. 1983),daughter of Hon Hubert Wentworth Beaumont (b. 1956), of Harristown House, Co. Kildare, Ireland, by his former wife the former Katharine Emma (Kate) Abel Smith (b. 1961). ii. Penelope ("Penny") Anne Arbuthnot. Born 23 December 1953. Married, 1983, Michael Drake Stewart of Stokestown, New Ross, Co Wexford. (1) Kerry Arbuthnot Stewart (a girl). Born 1987. (Richard Henry) Myles ("Teeny") Arbuthnot, MBE, BA. Born 17 August 1911. Dvu on active service in Italy 16 October 1943. Educated Eton & Trinity Coll., Cambridge. Major, Royal Signals (despatches). Married, 28 April 1939, (Marjorie) Helen Miller, ygr daughter of Dr Ralph Miller as her first husband. She married second, 15 September 1948, Joseph Richard van der Schriek, son of Henry Egide van der Schriek and lives in Ibiza. Patricia Evangeline Anne Arbuthnot. Born 17 March 1914. Died 6 October 1989. Author: The Years of the Week and Figure of Eight. Married first, 10 October 1933, Arthur Cecil Byron, son of - Cecil Byron. Divorced 1940. Darrell Byron. Died in Ireland aged about two. Patricia married second, as his third wife, 1940, (Francis) Claud Cockburn (born British embassy 12 April 1904, died 15 December 1981), journalist, son of Henry Cockburn, CB. They lived at Rock House, Ardmore, Co Waterford (formerly of: Brook Lodge, Youghal, Co Cork). Alexander Claud Cockburn. Born Scotland 6 June 1941. Died Germany 21 July 2012. Educated Glenalmond & Keble Coll., Oxford. Writer. Married, 13 December 1968, the Hon Emma Christina Tennant (born 1937), novelist, daughter of the 2nd Baron Glenconner, as her third husband. She had married, first, 1957, Sebastian Yorke, and second, 1963, Christopher John Penrice Booker. Alexander and Emma were divorced 1973. He lives in Northern California. Daisy Alice Cockburn. Born 5 February 1969. Andrew Myles Cockburn. Born London 7 January 1947. Educated Glenalmond & Worcester Coll., Oxford. Freelance TV producer. Author: "The Threat; Inside the Soviet Military Machine", 1982; "Dangerous Liaison: The Inside Story of the US-Israeli Covert Relationship" (with Leslie Cockburn) 1991; "Out of the Ashes, The Resurrection of Saddam Hussein" (with Patrick Cockburn, qv) 1999; "Saddam Hussein: An American Obsession" (with Patrick Cockburn, qv) 2002. Also co-produced, with his wife, Leslie Cockburn, the film "The Peacemaker", starring George Clooney and Nicole Kidman, 1997. Married in San Francisco, 1977, Leslie Corkhill Redlich, daughter of Christopher Redlich of Hillsborough, California. They live in Washington, DC. (1) Chloe Frances Cockburn. Born 3 April 1979. Civil rights attorney in New York. (2) Olivia Jane Cockburn. Born 10 March 1984. The actress "Olivia Wilde". Married 7 June 2003 Tao Ruspoli (born 7 November 1975) whose brother Bartolomeo married Aileen, daughter of Sir Paul Getty, KBE. They divorced 29 Sept 2011. (3) Charles Philip Cockburn. Born 31 January 1993. Patrick Oliver Cockburn. Born 5 March 1951. Educated Glenalmond & Trinity Coll., Oxford. F.T. correspondent in Moscow. Now with The Independant. Married, ?. ?.1981, Janet ("Jan") Montefiore, daughter of Rt Rev Hugh William Montefiore, BD, Bishop of Birmingham. She lectures in English at the University of Kent. Address: 56 Castle Street, Canterbury. Westbourne Terrace, London W2 (020-7402 6894). (2) Alexander Cockburn. Born 1987. Dorothy ("Dot") Gertrude Arbuthnot. Born London 20 January 1878. Died 25 April 1957. Married, 3 February 1904, Brigadier General Hugh Frederick Bateman-Champain, CMG (late Indian Army; died Sunningdale 7 October 1933), eldest son of Colonel Sir John Bateman- Champain, KCMG, RE and Harriet Sophie Currie. Audrey Rosaline Dorothy Bateman-Champain. Born Simla, India 5 September 1914. Married, 22 June 1937, Alfred ("Buddy") Basil Brailsford Woodburn (born 2 November 1910). They were both murdered in South Africa 4 May 1980. Christopher Hugh Franklyn Woodburn. Born 2 June 1939. Married, 20 March 1964, Susan Rhea Coad (died 24 October 2002). Address: 42 Emoyeni Rd, Durban. (1) Toni Susan Woodburn. Born 3 May 1966. Married 23 October 1993 Kevin Dean Trodd (born 17 November 1968) of Bergville. (a) Robert Christopher Trodd. Born 4 June 1996. (b) James David Trodd. Born 3 January 1998. Victoria ("Tori") Jane Woodburn. Born 25 December 1977. Married 27 October 2001 Richard Arnold. (a) Lance Michael Charles Arnold. Born 16 October 2002. (b) Scot Rhea Kane Arnold. Born 11 October 2004. Christopher married second 29 October 2004 Pauline _____. They live at Padfield Park, Kwa Zulu, Natal. ii. Gian Virginia Mary Woodburn, BA. Born 2 October 1945. Unmarried. Orchard Cottages 106 Telegraph Lane Claygate Surrey KT10 0DY. 01372 470993. She works for the Personnel Manager of E.D.& F. Man Ltd.
Pamela ("Pam") Jean Bateman-Champain. Born Darjeeling 11 September 1915. Died of cancer in South Africa 20 November 1971. Married, first, Robert ("Bob") Lowe. Married, second, Edwin John Hewitt. Mary ("Molly") Christobel Arbuthnot. Born London 12 September 1879. Died 19??. Lived at: Brockham House, Brockham Green, Betchworth, Surrey. Married first, 23 October 1907, George Archibald Wallace Young (born ?.?.19?? ), elder son of Archibald Young of Wellington Hse., Lancs. Peter Leslie Young. Born ?.?.19??. Died 19??. Married first Pamela Clare Gaitskell who married 3rd Hugo Darling Dent. Married second Doreen ______ who married second Mr Duff (author) and they had a son who died in Italy at the end of WWI. Married third, as her second husband, Joan Laing, who had married 1st Mr Richardson and who married 3rd Mr Barnes. Michael ("Micky") Arbuthnot Young. Born 5 November 1930. Married, 2 April 1966, Susanna ("Sue") Elizabeth Barclay (born 18 December 1940), daughter of Theodore David Barclay, Chairman of Barclays Bank plc. Address: 17 Lilyville Road, Fulham, London SW6 5DP (020-7736 1910). She married second, 3 June 1914, Captain Alexander Gifford Ludford-Astley (killed in action Mesopotamia 5 March 1917), son of the Rev Benjamin Buckler Gifford Ludford- Astley, MA, JP, Rector of Cadeby, Leics..
She married third, 27 April 1922, Colonel Edgar James Bridges, MC (died 8 January 1960), late of 14th Hussars son of John Henry Bridges of Fedderate, Aberdeenshire and The Court, Eastbourne. (Hugh) Archibald ("Archie") Arbuthnot. Born 4 December 1885. Dsp 28 December 1950. A jockey who joined 19th Hussars. Hall porter (flats). Married, first q2 1917, Mabel Eleanor Jackson, daughter of Henry Jackson. Divorced 1928. Married second 24 October 1928 Margaret Ann ("Madge") Reid (born 3 January 1895; died Croydon 29 January 1961) dau of Andrew Reid (comedian and house decorator) and Annie Brown Reid nee Scott. DD. ANNE ("ANNIE") ARBUTHNOT. Born Madras, India 23 June 1838. Bap 17 July 1838. Died unmarried 16 August 1909. MARY ARBUTHNOT. Born St Marylebone 14 April 1840. Died unmarried 4 October 1930. FLORENCE ("FLORRIE") ARBUTHNOT. Born St Marylebone, London 9 October 1841, a twin with Janie. Died unmarried 17 January 1932. JANE ("JANIE") ARBUTHNOT. Born 9 October 1841, a twin with Florrie. Died 1891. ALICE MAGDALEN ARBUTHNOT. Born 17 September 1843. Died unmarried 1 May 1869. (LAURA) GERTRUDE ARBUTHNOT. Born 1 May 1845. 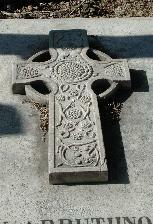 Died 1852. CHARLES GEORGE ARBUTHNOT. Born Old Windsor, Berks 20 October 1846. Died unmarried 27 September 1928. Educated Eton. Partner Arbuthnot Latham & Co 1871-1928. Director Bank of England. One of HM Lieutenants, City of London. KK. Twin son. Born and died 28? December 1848? LL. Twin son. Born and died 28? December 1848? HUGH LYTTLETON ARBUTHNOT. Born Boulogne, France 27 September 1851. Died 28 January 1929. Educated Eton. Lived at 26 Cadogan Square, London. Partner Arbuthnot Latham & Co 1875-1921. Married first, 25 September 1879, ELIZABETH FOUNTAINE WALKER, MBE (born Edinburgh 1857/8; died 21 April 1920), daughter of Fountaine Walker of Ness Castle, Invernessshire. a. (ALICE) MAUD ("MAUDIE") ARBUTHNOT. Born Chelsea 14 July 1880. Died 16 October 1969. Married, 15 January 1918, Brigadier General Sir DALRYMPLE ARBUTHNOT, Bt (See A.AA.c. above). HENRY CHARLES ARBUTHNOT. Born Chelsea 1 May 1894. Died 31 August 1894. Hugh married second, 16 September 1922, JUSTINE HENRIETTA ROSS (died 14 March 1947), daughter of Colin George Ross of Gruinard, Rossshire. She had married, first, Henry Robert Mansel Porter of Birlingham, Worcestershire (dvu). George Clerk Arbuthnot of Mavisbank, Midlothian. Born 7 October 1803. Died 21 February 1876. Buried St John & St Cuthbert, Edinburgh. Commander of the "Hythe", an East India ship of season 1828-9. Acting as an agent for Mauritius, he signed a contract with 75 Dhangar tribals of India, whereby they became indentured labourers in 1834. Married first, 7 November 1837, Agnes Rait (died 12 March 1842; buried Ockley, Surrey), daughter of John Rait of Anniston, Forfarshire by Elizabeth, née Guthrie. Emily Arbuthnot. Born 14 June 1840. Died 14 February 1901. Married in Mavisbank House, Lasswade, Midlothian, 27 November 1860, John Burns, later 1st Baron Inverclyde (born 24 June 1829, dvu 12 February 1901; Chairman of Cunard Steamship Co), son of George Burns, later Sir George Burns, 1st Bt. George Arbuthnot Burns, 2nd Baron Inverclyde. Born 17 September 1861. Dvu & sp 8 October 1905. Chairman of Cunard. He conducted the negotiations which resulted in the refusal of the Cunard Company to enter the shipping combination, the International Mercantile Marine Company, formed by Messrs J. P. Morgan & Co., and took a leading part in the application of turbine engines to ocean liners. Married, 6 April 1886, Mary ("Mazie") Hickson- Ferguson. (Agnes) Caroline ("Carrie" "Lena") Burns. Born 1 Park Gardens, Glasgow 23 November 1862. Died The Manse, Old Aberdeen 20 May 1928. Married, 1911, Rev Dr John MacGilchrist (born 1866, died 1928; buried Largs), Minister of Old Machar, as his second wife. James ("Jim" and "Jem") Burns, 3rd Baron Inverclyde. Born 14 February 1864. Died 16 August 1919. Married, 2 April 1891, Charlotte Mary Emily Nugent Dunbar (Kensington q4 1865-1951), daughter of Robert Nugent Dunbar of Machermore Castle. She was painted by Sir Frank Dicksee, portrait in Glasgow museums & galleries (Kelvin Grove). (John) Alan Burns, 4th Baron Inverclyde. Born 1897. Dsp 18 June 1957. Governor Royal Scottish Academy of Music. Married first 1926 Olive Sylvia Sainsbury. Divorced 1928. Married second 1929 June Howard-Tripp, daughter of Walter Howard-Tripp. Divorced 1933. Hon Emily Dunbar Burns. Born 1893. Died 4 January 1988. Married Gerald McKenna, RN (dsp 1949). Hon Muriel Annette Burns, JP, OBE. Born 15 January 1893. Died 29 January 1969. Married 5 September 1918 Alexander John Hew Maclean 16th of Ardgour (born 1880, died 1930). i. Catriona Louisa Maclean, 17th of Ardgour. Born 27 August 1919. Died 28 January 1998.
ii. Anne Maclean. Born 2 June 1921. Died in a car accident 1 May 1981. Married 25 November 1944 Lt Cmdr Charles Francis Alington, RN (born 8 March 1919; died 29 September 1987). Nigel Argentine Alington, LVO. Born 7 January 1947. Educ Stowe, Trinity Hall, Cambs. Director Aon. Address: The Manor House, Little Barford, St Neots, Hunts PE19 4YG. Felicity Muriel Alington. Born 9 April 1949. Tiller girl & croupier (ret'd). Married Richard Leary. Tel: 0777 952 8131. (a) Dominic Leary. Educated Eton. (b) Christopher Leary. Educated Radley. Virginia Louise Alington. Born 2 December 1951. Married Peter Teague, farmer. iii. Margaret Beryl Maclean. Born 20 July 1923. Married 16 July 1946 Ralph Dundas (born 14 October 1912, died 12 July 1982). (1) (Robert) Alexander ("Alex") Dundas. Born 12 June 1947. Drowned 1 November 2003. Educ Harrow and Ch Ch, Oxon. Married 9 July 1977 Sarah Rosalind Wilson. Address: 63 Victoria Road, London W8. (a) Catriona ("Riona") Bridget Dundas. Born 16 January 1985. Educ Downe House. (b) Ralph William Dundas. Born 16 March 1988. Educ Eton. (2) Hew Ralph Dundas. Born 4 August 1953. Educ Harrow and Ch Ch, Oxon. Married 23 October 1992 Lê Thi Ngoc Vân. iv Heather Joan Maclean. Born 22 January 1926. Died 1985. Married 15 June 1946 Ian Fitzroy Sholto Douglas (born 22 January 1916, died April 1998). He married second Kath _____ who died 7 days after Ian. (1) William Hew Sholto Douglas. Born 5 April 1947. Educ Harrow. Married 1986 Frances Mary Riddle, dau of Brig Robert William Riddle. (a) Peter Sholto Douglas. Born 1987. (b) Charles Robert Douglas. Born 1989. (c) Kerry Anne Heather Douglas. Born 1991. (d) Andrew William Douglas. Born 1993. (2) Elizabeth Heather Winifred Douglas. Born 6 October 1948. Married first 1971 Edward Inman. Divorced 1983. (a) James Michael Inman. Born 1974. (b) Heather Louise Inman. Born 1977. Elizabeth married second 1985 Paul William Alexander Brown. (3) Jane Charlotte Georgiana Douglas. Born 22 February 1950. (4) Peter James Douglas. Born 13 April 1952. Educ Gordonstoun. v. Elizabeth ("Libby") Muriel Philippa Maclean. Born 10 June 1927. Married 27 October 1948 Rev (Adam) Ronald Rentoul Torrie (died 26 June 1996). (1) Philippa Brigid Torrie. Born 13 July 1950. (2) Robin Michael Torrie. Born 12 October 1952. Educ Rugby. (3) Catriona Elizabeth Torrie. Born 4 June 1955. (4) Alan Hamish Brandon Torrie. Born 1 May 1958. Educ Rugby. (5) Sarah Margaret Torrie. Born 8 August 1959. Jane ("Janey") Cleland Burns. Born 7 July 1865. Mary Hay Burns OBE. Born 14 February 1871. Died 19 August 1965. Served as a member of the House of Laity, 1921-35. Entering local politics 'The Times' noted: "Hon Mrs. Corfield has been returned unopposed for the new Berkshire County Council electoral division of East Wokingham". In 1928 she wrote the biography of her late husband. In 1946 Mary became County Alderman and in 1947 became Mayor of Wokingham. In November 1939, when living at the Tithe Barn, Wokingham, she had been Berkshire Organiser for Hospital Supply Depots, a post she held until 1945. She was Life-Vice-President of the Mothers' Union. Married first Ernest Murray Robinson (1858-1904). Married, 2nd, 26 September 1906, Claud Evelyn Lacey Corfield.. He married second at Loanhead, 10 January 1845, Caroline Ramsay Hay (born Scotland c.1861; died August 1911), youngest daughter of James Hay of Collepriest by Lady Mary, née Ramsay, fourth daughter of George, 8th Earl of Dalhousie. Ven GEORGE ARBUTHNOT, MA, DD. Born Scotland 24 May 1846. Died Leamington 9 November 1922. Buried Stratford-upon-Avon. Educated Eton and Christchurch Coll., Oxford. One of Dr Vaughan's "doves" at the Temple. Ordained 1872. Vicar at Arundel (1873) and at Stratford-upon-Avon (1879); Archdeacon of Coventry 1908-1922. Proctor in Convocation. The unsuccessful litigant in the case of Arbuthnot v Duke of Norfolk. Married in South Kensington, London, 19 November 1885, (MARGARET) EVELYN LUCKOCK (born Cambridge 1867/8; died 1 December 1951), daughter of the Very Rev Herbert Mortimer Luckock, DD, Dean of Lichfield and Margaret Emma, née Thompson. Evelyn wrote "A Short Story of a Long Life", a biography of her mother-in-law, Caroline Ramsay Arbuthnot. MARY HAY ARBUTHNOT. Born 1847. Died 1870. Buried St John & St Cuthbert, Edinburgh. CHARLES ("CHARLIE") RAMSAY ARBUTHNOT. Born Liverpool 5 February 1850. Died 30 September 1913. Admiral, RN; ADC to HM. Married in Paris by his brother, George, 8 January 1880, (EMILY) CAROLINE ("CARRIE") SCHOMBERG (born Liverpool 1855/6; died 5 December 1910), daughter of Rear Admiral Charles Frederick Schomberg. Evelyn Mary Arbuthnot, OBE. Born Southsea, Hants 12 February 1881. Died 25 March 1939. Married, 24 April 1924, Septimus Tristram Pruen, MD, MRCS (died 19 February 1936). b. Beatrice Caroline Arbuthnot. Born 5 February 1883. Died 8 July 1953. Married, 21 April 1906, Captain Robert Henry Ramsay Mackay, OBE, JP, RN (died 18 August 1954), son of Henry Ramsay Mackay of Petham House, Canterbury. Elizabeth Ramsay Mackay. Married George Albert Bradshaw. i. Jean Ramsay Bradshaw. Born 24 August 1941. Died London. Buried Petham. Married, 6 June 1964, John Nielson (born 4 August 1937). Divorced. Lived at 3 Portobello Mews, London W11. Caroline Faith Mackay. Died 2001. Married 1934 Dr Melville D Mackenzie (died 1972), a key figure in inter-war health. Worked for the World Health Organisation in Agadir. Andrew Mackenzie. Dr. Married Janice Jones. Lives in Canada. (1) Dr Katharine Harrison. Eye doctor in Canada. Married Shawn Michael Caza, a Canadian diplomat. (2) Dr Paul Mackenzie. Eye doctor. Mary Faith Arbuthnot Mackenzie. Married David May. Address: 3 Upper Horton Farm Cottages, New House Lane, Canterbury, Kent CT4 7BS (tel: 01227 730899). Margaret ("Peggy") Evelyn Mackay. Died c.2005. Married Christopher John Gibbs (born 1902). Isabel Margaret Ramsay Gibbs. Born 1944. Married first John Harrison. Isabel married second John B Howell. Lives in Mere, Wilts (tel: 01747 860297). Julian Robert Gibbs. Born 1949. Married Juliet Marguerite Cecilia Gore Anley. (1) Joseph Gibbs. Born 1977. (2) Florence Margaret Gibbs. Born 1979. (3) Dorothea Gibbs. Born 1981. IV. Jean Ring Mackay. Died. Married Percival ("John") Robbins (died). ii. Helen Robbins. Married Bill _____. c. Sir Geoffrey Schomberg Arbuthnot, KCB (1942), DSO (1919), Legion of Honour. Born Havant, Hampshire 18 January 1885. Died 4 October 1957. Vice Admiral. Naval ADC to HM 1936, 4th Sea Lord of the Admiralty and Chief of Supplies and Transport 1937, C-in-C East Indies Station 1941, served in World War I (despatches). Married, 22 October 1913, (Jessie) Marguerite Henderson (died 3 August 1947), second daughter of William Henderson of Berkeley House, Frome, Somerset. Mary Marguerite Arbuthnot. Born 12 August 1914. Died Dorset 26? May 1999. Married, 24 September 1934, Lt-Colonel Walter Stuart Augustus Clough -Taylor, RWF of Marvins, Kingston Deverill, Warminster, Wiltshire (died 1988), ygr son of Lt-Colonel Edward Harrison Clough -Taylor and Lady Mary Stuart, dau of the 5th Earl Castle Stewart. Juliet Mary Clough-Taylor. Born 3 February 1935. Married first, 27 May 1961, Timothy Charles Austin Horn of Bickton Mill, Fordingbridge, Hants., son of Group Capt Charles Horn, RAF. Divorced. Francis William Austin Horn. Born 24 October 1962. Charlotte Mary Horn. Born 29 November 1965. Juliet married second, 22 December 1978, Colin Malcolm Paul (born 22 December 1930). Address: Beacon Cott, Bimport, Shaftesbury, Dorset SP7 8BA (tel: 01747 852 750). II. Peter Charles Reginald Arbuthnot. Born 16 September 1915. Killed in action HMS Neptune 19 December 1941. Educated RNC, Dartmouth. Lieutenant RN. Michael Geoffrey Henderson Arbuthnot. Born 28 September 1919. Died Eastbourne 11 June 1967. Educated Stowe School 1933-1938, Head Boy, then Trinity College Cambridge, Lt RNVR during WW2, then worked for Shell in Venezuela and Rhodesia. Married, 24 April 1948, (Nicole) Patricia Collins (born 13 December 1917), elder daughter of Lt-Colonel Richard Leslie Halliburton Collins of Thurston House, Bury St Edmunds. Address: 5 Egerton Place, London SW3 2EF. Harriet Emily Arbuthnot. Born London 2 May 1984. Educated Laurel Park, Glasgow, Downe House, Bristol University (German). Address: 244 Westbourne Park Rd, London W11 1EL. EE. James ("Jamie") Arbuthnot of Ballure, Co Argyle. Born Lasswade 21 July 1855. Died 16 April 1913. Buried Edinburgh. Educated Glenalmond. Married first, 22 April 1879, Mary ("May") Steward Taylor (died Clacton-on-sea 26 August 1922), daughter of Captain Ralph Neufville Taylor (son of Henry George Andrew Taylor GCB [son of James Taylor and Christiana Dickson] and Eliza Maughan) and Frances Anne Buckle (connection with L, search Neufville). Divorced 1896. She married second, ?. ?.1896, Mr ______ Warn (divorced c.1901). (George) Ramsay Arbuthnot, Senior. Born East Grinstead 28 June 1880. Dvu Hull 27 November 1932. Educated Glenalmond. Merchant seaman. Married in Hull, 22 April 1910, Rose Anna Branson (died 2 January 1973). (Alice) May Monica Arbuthnot. Born Hull 21 July 1910. Died St Catharine's winter 1986. She and her sister, Ruby were brought up by her grandmother, May, until the age of about six, after which they were entered into a convent, apparently paid for by her great-aunt, Evelyn. Emigrated to Canada. Married in Canada, 29 January 1930, John ("Jack") Pilling, Senior. Address: 162 Geneva Street, St Catharines, Ontario, Canada L2R 4P2. John George Pilling, Junior. Born 21 August 1941. Lives in Burlington, Ontario. Married Diane Mae Myers. Divorced and she married second Peter Custers. Partner to Christine Campbell (born 23 December 1949). (1) Willow Pilling. Married Ryan Hurad, son of Wayne Hurad. (2) Whitney Pilling. Married Erwin Sansmoot. They live in Amsterdam. (a) Jenneke Pilling. Born 1 October 1999. Shirley Pilling. Born 17 December 1935. Married Harold Andraza (died 6 December 2000). (1) Mark Andraza. Born 1 April 1958. Reginald ("Reg") Pilling. Born 28 June 1946. Married first _____ _____. (2) Cynthia Pilling. Born 6 July 1978. Reg married second Heather Morgan. Ruby Molly Arbuthnot. Born Hull 5 May 1912. Died. Married in Oxford, 2 June 1941, Reginald Mullett (died). Address: 17 Pitman Ave., (or Pitmans Close? ), Barton-upon-Humber, Lincolnshire. i. Margaret Mullet. Born ?.?.1943. Died ?.?.1943. Raymond Dennis Chilvers. Born 7 December 1932. Died 1994. Malcolm Roy Chilvers. Born 11 September 1954. IV. Frances Noel Arbuthnot. Born Hull 25 December 1914 (9d/574). Died betw 1984-91. Married in Hull, 3 March 1935, Sidney ("Sid") Jenner. Address: 5 Manners Court, Beverley, East Yorkshire. Sidney Jenner. Born 20 February 1936. Sandra Jenner. Born 26 August 1946. Susan Jenner. Born 13 November 1951. V. Queenie Steward Arbuthnot. Born Hull 21 July 1923. Married in Hull, 7 September 1941, Lesley Fox. Address: 7 Snowhill Close, Bransholme, by Hull, Yorkshire. Norman Fox. Born 28 March 1942. Raymond Fox. Born 18 June 1948. Sylvia Fox. Born 1 May 1953. George Ramsey Arbuthnot, Junior. Born Hull 20 November 1930. Died 20 March 2009. Had to leave Thomas Straton School, Hull when aged fourteen to support his widowed mother. Master builder and later a builder's labourer. Married in Hull, 11 February 1950, Sheelah Margaret Inchbold (born 2 January 1932; dvu 11 August 2002). Address: 56 Wimborne Close, Midmere Avenue, Bransholme, by Hull, Yorkshire. Cynwin Arbuthnot. Born q2 1950. Died young? Adopted out? George says this is not his child. Graham Stewart Arbuthnot. Born 9 October 1952. Educated Saltshouse High School. He is in the catering trade. Glynis Kathleen Arbuthnot. Born 18 March 1954. Married in Hull, 7 January 1977, John Campbell, trawler fisherman (aged twenty-four), son of Gilbert Campbell, glazier. Divorced 1988. Zöe Campbell. Born 21 May 1978. Jamie John Campbell. Born 3 April 1980. Glynis married second 11 February 2003 Dennis Dobson (born 31 January 1955). Colleen Arbuthnot. Born Hull 7 October 1964. Married, 17 March 1984, Philip Dolan. (1) Kelly Arbuthnot-Dolan. Born 24 July 1984. (a) Bonnie Arbuthnot-Dolan. Born 13 December 2003. (2) Lindsey Caroline Arbuthnot-Dolan. Born 26 March 1986. (a) Kelsey Paris Dolan. Born 26 June 2004. (b) Destiney Tegan Dolan. Born 25 March 2007. (3) Ryan Phillip Dolan. Born 21 November 1989. Alison Georgina Arbuthnot. Born Hull 18 February 1967. Married in Hull May 1989 Scott Sullivan. Tel: 01482 802351. (1) Aaron Anthony Sullivan. Born 15 March 1995. Charles Gwynne ("Guy") Arbuthnot. Born 21 May 1881. Died 7 July 1881. Buried Upwey, Dorsetshire. Francis Clementé Arbuthnot. aka Frank Clementi Arbuthnot. Born Florence 9 (8?) February 1883. Died unmarried 1905. Trooper with the Commander in Chief's Bodyguard, a colonial unit of the Boer War of 1899-1902. James married second, in Bombay, 22 October 1897, Mary Margaret ("Rita" or "Cooey") Mann (dvu & sp Bradeney, near Bridgworth, Shropshire 26 August 1905), only daughter of Lowry Mann of Earlston, Cheshire.